An innovative educational and assessment tool identifies in-home fall risk factors and offers specific information about preventing falls. Patients with atrial fibrillation are at particularly high risk of developing blood clots, making them five times more likely to suffer a stroke than those without the condition. But the availability of new anticoagulants is changing the treatment landscape. Clinicians can encourage patients anxious about possible cognitive impairment to take steps to prevent or postpone symptoms of a neurocognitive disorders, including Alzheimer’s disease. 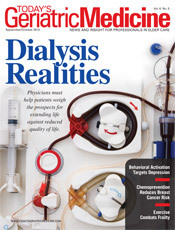 Physicians must help patients weigh the prospects for extending life against reduced quality of life. Limiting muscle loss is essential to older adults maintaining functional activity. Exercise can help preserve muscle, improve balance, and enhance mobility. Women between the ages of 40 and 70 who are at high risk of breast cancer should be offered chemoprevention therapy if they are at low risk for thromboembolic disease and endometrial cancer. Requiring minimal training to administer, behavioral activation presents an inexpensive short-term intervention that effectively treats mild, moderate, or even severe depression. 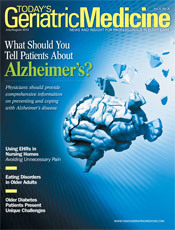 Patients and caregivers seek information and guidance on preventing, living with, or coping with Alzheimer’s disease. What should you tell them? Using EHRs in Nursing Homes: Avoiding Unnecessary Pain Physicians must adopt EHR technology and demonstrate meaningful use by October 1, 2014, or face a 1% reduction in Medicare reimbursements in 2015. 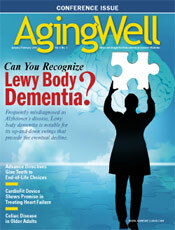 How can it be implemented in long term care? What are the obstacles? With the increasing incidence of eating disorders among older adults, it’s important to recognize the symptoms and implement appropriate treatment. Because of age-related physiological changes, older patients may not present with classic symptoms of hyperglycemia. Learn to recognize the atypical symptoms of diabetes. Long term care facilities and hospitals are implementing environmentally friendly methods of controlling infection. Treating adults with intellectual disabilities can present physicians with significant challenges. Providers need to develop the skills and sensitivity necessary to effectively treat these patients. 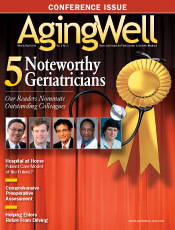 Nominated by their colleagues, our readers, these geriatricians’ decades of dedication to treating older adults have resulted in productive and fulfilling aging experiences for countless patients. Optimal surgical outcomes in elderly patients require comprehensive preoperative assessment and correction of deficiencies to the greatest extent possible. An innovative, forward-looking healthcare model, Hospital at Home provides in-home acute hospital-level care to older patients while reducing costs and decreasing geriatric complications. 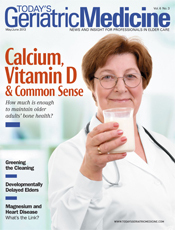 Making proper documentation and compassion the key elements in deciding elders should retire from driving makes the physicians’ recommendation less painful. In the early stages, up-and-down swings are characteristic of Lewy body dementia, which is often misdiagnosed as Alzheimer’s disease. Early diagnosis is critical for providing the most effective treatment. Significant medical advances have been made in understanding celiac disease. As the prevalence of mature celiac disease increases, physicians need to recognize signs and symptoms of the condition and effective ways to treat it. 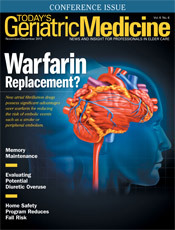 When medications prove ineffective, physicians are utilizing an experimental implantable device to alleviate atrial fibrillation’s symptoms. CardioFit stimulates specific nerves to help regulate and reduce stress on the heart. As longevity rates increase, technology and disease management capabilities offer physicians helpful guidance on judicious end-of-life care. Physicians can offer recommendations to help patients address important and necessary end-of-life decisions.